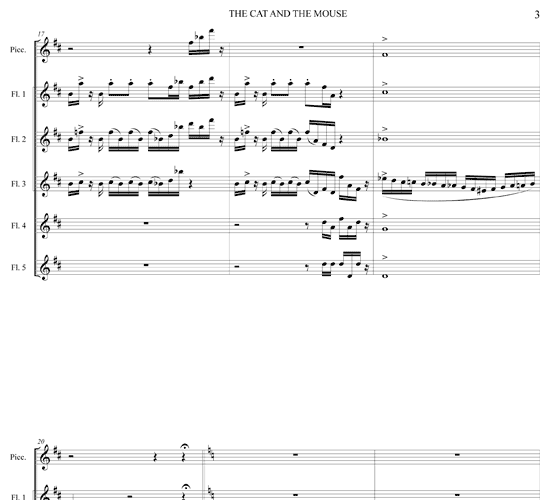 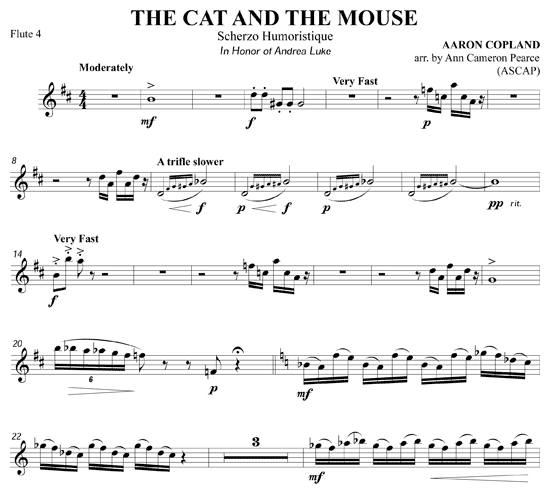 A sinister feline chases a skittering rodent via this witty composition that features erratic rhythms and a wide range of tones. 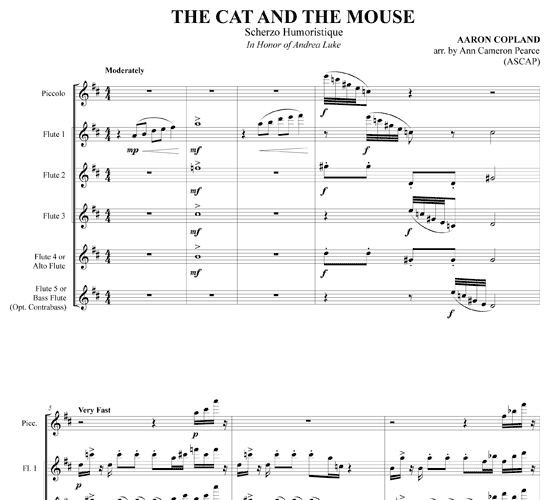 Copland's first published piece (for piano 1921) was inspired by the poem “La Chat et la Sourls” by LaFontaine. 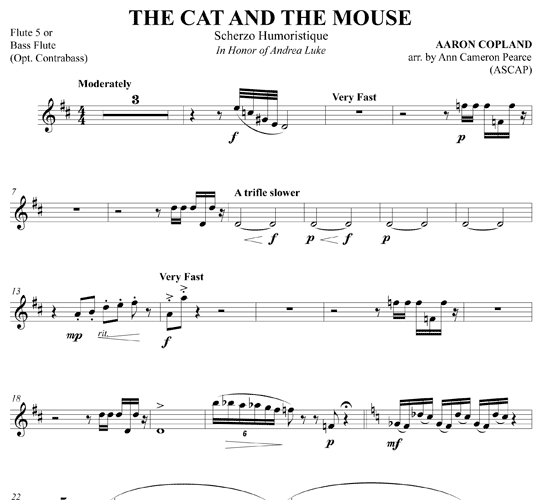 Immediately upon his Paris debut of it, he was issued a contract for its publication. 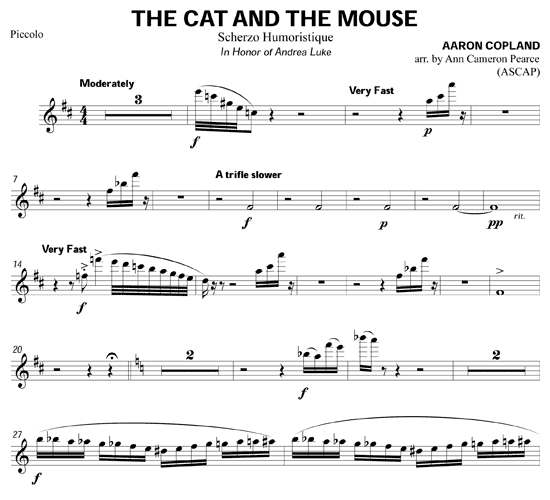 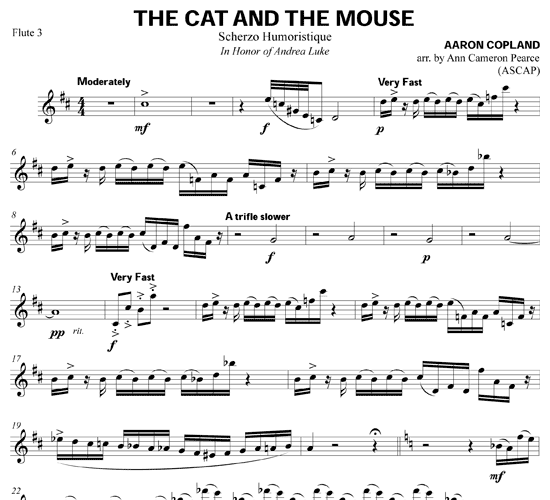 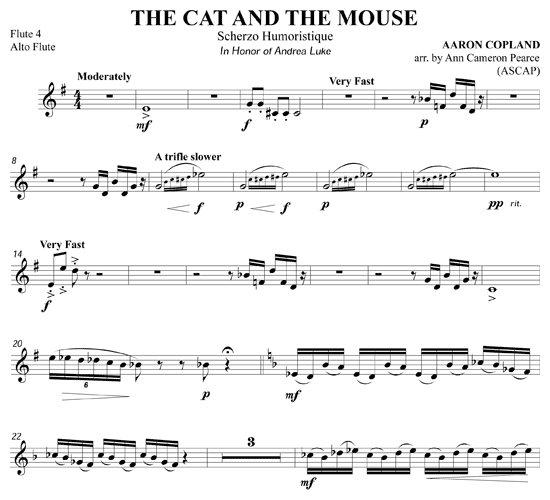 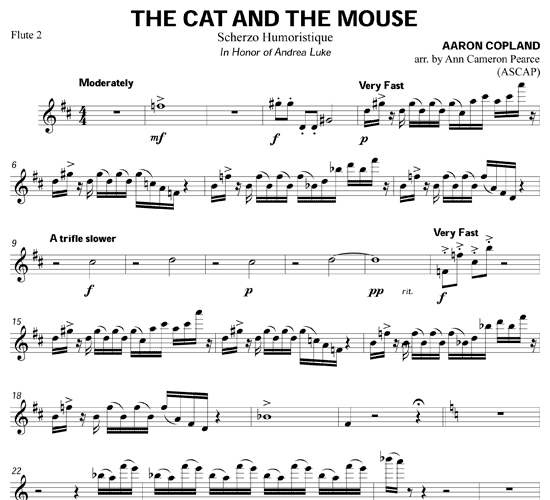 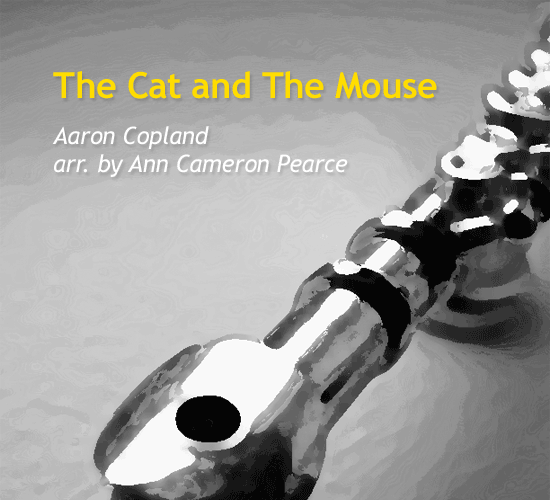 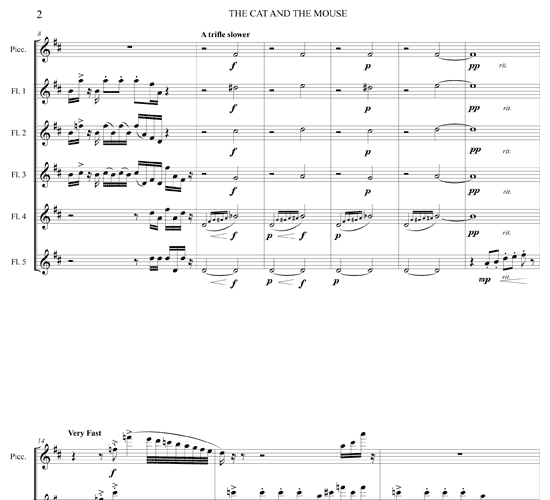 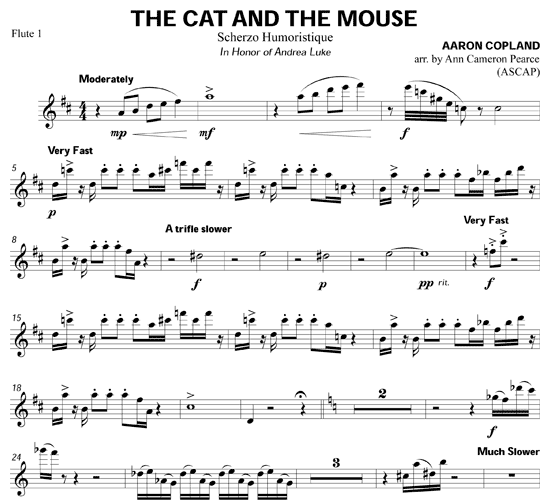 Follow this musical cat and mouse story and figure out who wins!